Packaging designers and product marketers love Seal-Spout pour spouts because of their universal acceptance by consumers, ease of use and flexibility of design. Simply stated, "Everyone knows how to open a Seal-Spout pour spout!" Our pour spouts can be opened with the tip of a finger and do not leak when the package is knocked over. 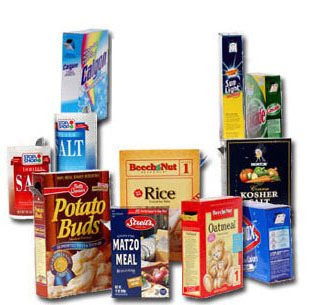 We know that your goal is to maximize profits by optimizing your packaging design. This means choosing the right pouring solution to eliminate customer frustration and product wastage at the lowest possible cost. To meet these challenges, you should consider Seal-Spout pour spouts! For about a penny per spout, our pour spouts preserve the contents from contamination, moisture and accidental spills; they are FDA approved for food products and have a 60-year history of consumer-friendly use. Seal-Spout pour spouts come in a variety of colors, shapes, sizes and materials. Our pour spouts can be designed to meet your custom packaging needs. Recommend a Seal-Spout pour spout for your next packaging design! Spouts looks great and are easy to use.